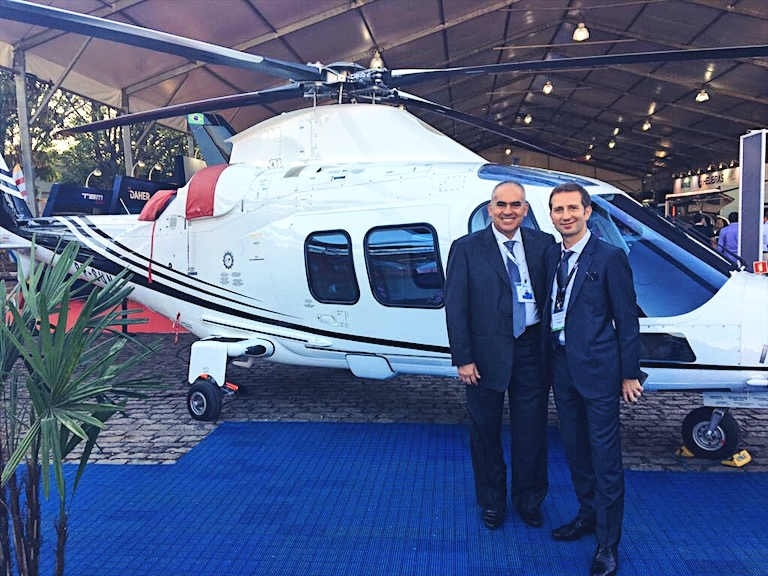 Rotortrade Services, an international helicopter dealer and sole global distributor of Leonardo’s pre-owned helicopters, reached an exclusive distribution agreement with Gualter Helicópteros, which focuses on executive aviation in Brazil. The agreement allows Rotortrade and Gualter to offer customers a wider selection of pre-owned helicopters into and from Brazil. Founded in 2012 in Singapore, Rotortrade currently has offices in Paris, Kuala Lumpur, Los Angeles, Mexico City, Montreal and Singapore, as well as exclusive network partners like Gualter around the world. Gualter Helicópteros was founded by Gualter Pizzi, who began his career in the industry in 1987 at Helibras, where he was responsible for civil and military sales in the states of north, northeast, Espírito Santo and Rio de Janeiro. In 2000, Pizzi became the commercial director of Audi Helicopters where he remained until 2002 and he later re-joined the company in 2008 untill 2014. During this period he was responsible for the significant increase in sales of Robinson helicopters and the introduction of the R66 Turbine in Brazil.